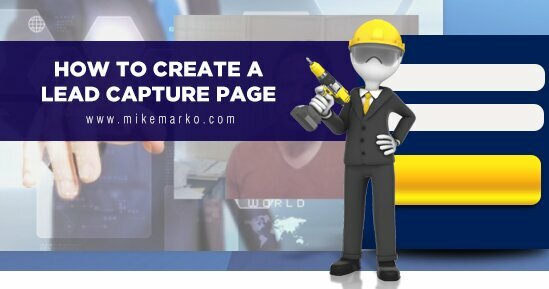 “The Key Tips To How To Make A Lead Capture Page” written and video by Mike Marko. Are you struggling to get leads for your business? Having an effective lead capture page is essential to getting leads for your business. But this is often where many fall short. I know… I struggled with effective lead capture pages for years. That was until I had proper mentorship, and did a LOT of testing. In the following video, I talk about how to make a lead capture page that will help you get better results when you are marketing your business online. There are some critical elements to a good capture page to get a good lead opt in rate. I’ve stated in the past the main purpose of a website is to get leads. And the best way you get leads is to have a lead capture page. But not all lead capture pages are created equal. Some capture pages do well, and can “capture” the emails of as much as 60% of the traffic visiting the page. Others don’t do so well and may only capture 10%… or less! As a rule of thumb, you should try to capture 30% or more of traffic. If not then your capture page needs work. Lead magnets are the free giveaways you see given in lieu of someone’s email address, and other contact information like name and phone number, etc. Generally, the more that you ask for the less likely you will get someone to complete the capture page. That’s why it’s often advantageous to give away very good lead magnets if you want more than just an email. Lead magnets are one way to increase the opt in of the lead capture page. A lead magnet can be a pdf, ebook, report, video training, or video training series (just to name a few ideas). The key is that you want to give away VALUE: something of value to your target audience. The capture page for cold traffic (people who have little to know knowledge about you) is different than a capture page for warm traffic (people who already have knowledge of you and your brand). For capture page layout above performs very well for cold traffic. You need to keep the capture page “clean” and “straight forward”. The image, in my opinion, is optional. If used, the image is a way to help a brand or help the visitor know what to expect on the other side once they give their email. For example, if they are going to get an eBook then having a 3-dimensional picture of a book with your picture on it is one way to help tie in the lead magnet to the capture page (especially if the book image looks like the cover of the eBook). 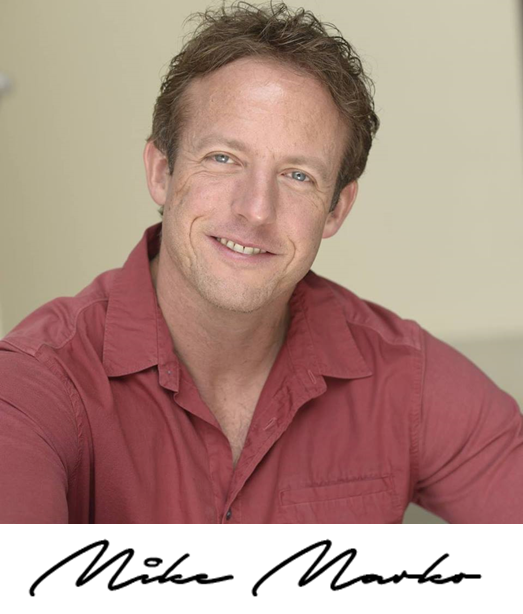 If you are giving away video training, then a picture of yourself there is both a great way to brand yourself AND help tie the capture page to the training. The main goal is to use the image as a way to help make the lead capture page, lead magnet, and the page right after capture page all congruent (matching). The title is either the most important part of the lead capture page. The title helps pull in the visitor and tell them what to expect for giving away their contact information. Use WOW factor. You need to draw them in with some eye-catching words or phrases like “Discover”, “Revealed”, “Never Before Seen”, and “First Time Ever”. Clearly stated. You need to clearly state what they are getting. Now, this can be supplemented by using the appropriate image. Either way, it should be clearly stated if it’s a pdf, eBook, report, video, video series, etc. States benefits. Make sure it is very clear what the benefits are. This can be done using words like “so you can” like in “so you can have more free time” or “so you can get leads on autopilot”. Has “HOOK”. A great way to introduce the hook is by using “without”. For example “so you can get sales on autopilot without having spent all day on your computer” or “without having to pick up the phone”. The key with the button is that you need to use words like “Me”, “My”, and “I”. Avoid words like “You” or “Your” because it doesn’t give the visitor the sense of ownership to the lead magnet as “Me” or “Mine”. When you create a lead capture page that incorporates all of these elements, you’ll find that you’ll get a higher opt in rate. The key, though, is test everything and don’t take anyone’s word for it. 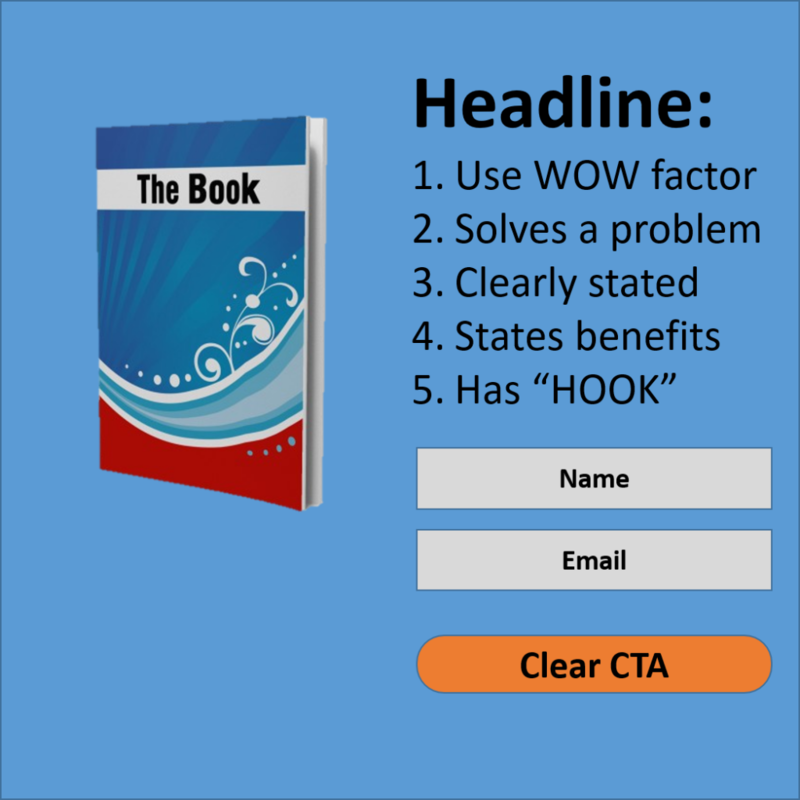 All traffic will respond differently to different lead capture page designs. If you are interested in learning how to make money online, click the following links to learn more from this Empower Network Review, and Jeunesse Review. Be sure to check out Digital Altitude in our Digital Altitude review.